We are joined together in our Christian faith and in a desire to live out that faith in service to one another, to our community, and to our world. 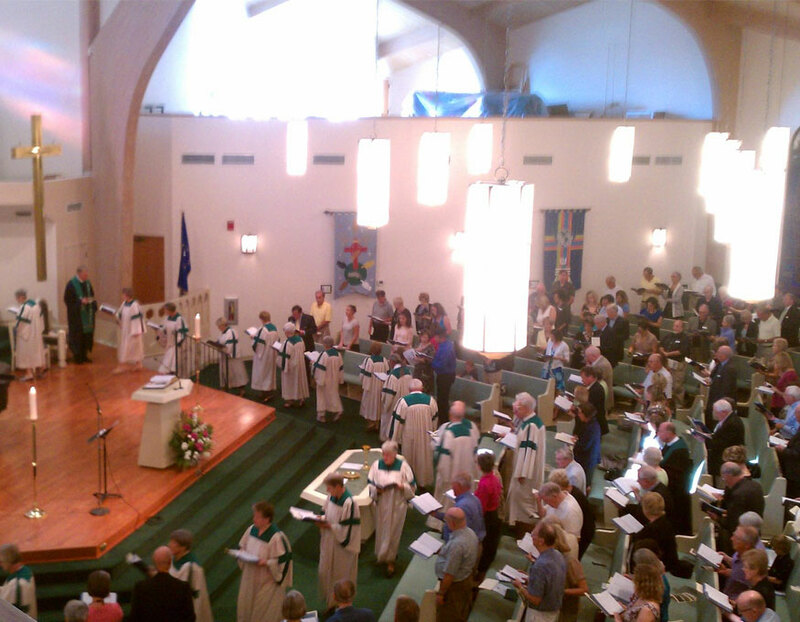 Vanderbilt Presbyterian Church (PCUSA) began in a storefront in 1979 and has grown into a caring fellowship of more than 650 active and affiliate members who gather under the tall steeples of our current facility. 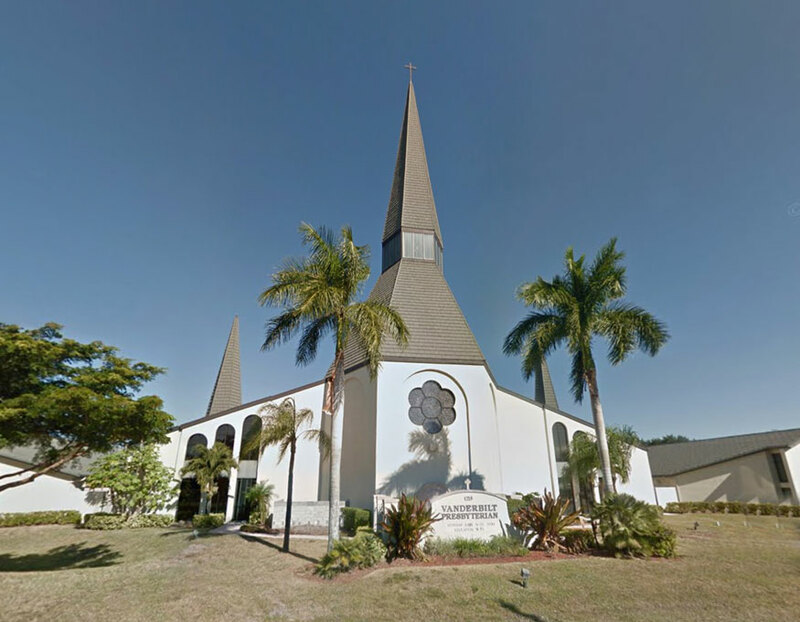 Our congregation is drawn primarily from North Naples, but also from surrounding areas. Worship is at the very heart of our life together—worship that transforms and energizes and sends us forth eager to serve. We glory in the music produced by our choirs—children and adult. We recognize children and youth as the future of the church, a sacred resource and trust. We strive to involve them in the overall life of the congregation and to provide a church home where young lives are nourished in the Christian faith and molded by Christian values. Our seniors are cherished and valued for the roles they play and have played in the life of our congregation. We seek to assist older seniors in maintaining their independence and in feeling more included in our church family. Mission is at the center of Vanderbilt’s ministry, and our goal is a Mission program so vital it transforms lives—ours as well as the lives of those we seek to serve. Habitat for Humanity, Heifer International, St. Matthew’s House, and many other organizations benefit from our Mission efforts. We come together to study and learn. Our Church School offers a Bible-based curriculum for children and youth, and our adult program offers tracts of study on the Bible, on Shalom (peace and justice issues), and will soon include tracts on Christian Spirituality and basic Christian doctrine. We are committed to offering a welcoming presence to members and visitors alike. We strive to be a church family that actively reaches out to bring new people into our fold and is so warm and caring that all, regardless of background, feel at home here. And we take seriously the stewardship of the property entrusted to our care. We are dedicated to providing our congregation and our community the space in which to grow through worship, study, and fellowship. Our facility was designed with the tall steeple and Sanctuary at its center representing Christ’s body—the side wings with their smaller steeples representing our Lord’s outstretched arms. To live into that design, the hearts and minds of our members must be open, wide as the arms of Christ.